Take a Network Break! 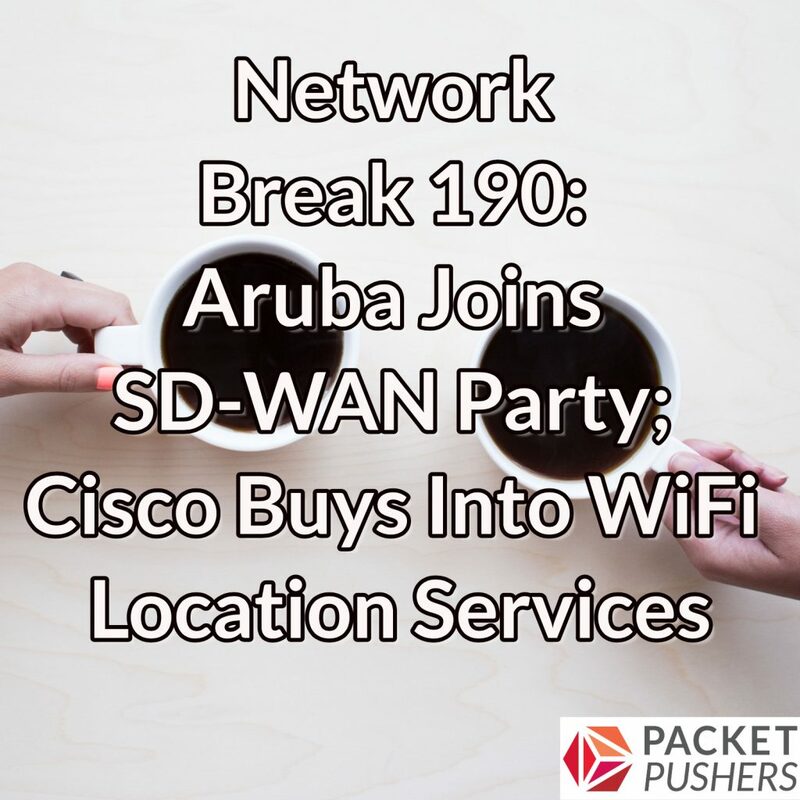 Aruba Networks rolls out a new SD-WAN platform plus a grand strategy for branch management, Cisco acquires July Systems for its wireless location services technology, and AT&T sells dozens of data centers for $1.1 billion. But AT&T may take that cash and pour it into the acquisition of a digital ad exchange company, Deutsche Telecom announces big layoffs in its T-Systems unit, and Australian telco Telstra splits off its legacy infrastructure unit into a standalone business. A Web Application Firewall (WAF) vendor lifts the curtain on why WAFs get bought but rarely used, HPE pledges $4 billion for edge computing, and Intel bids a terse goodbye to its CEO.